Image Credit & Copyright: Jimmy WalkerExplanation: Cosmic clouds seem to form fantastic shapes in the central regions of emission nebula IC 1805. Of course, the clouds are sculpted by stellar winds and radiation from massive hot stars in the nebula’s newbornstar cluster, Melotte 15. About 1.5 million years young, the cluster stars are near the center of this colorful skyscape, along with dark dust clouds in silhouette. Dominated by emission from atomic hydrogen, the telescopic view spans about 30 light-years. But wider field images reveal that IC 1805’s simpler, overall outline suggests its popular name – The Heart Nebula. IC 1805 is located along the northern Milky Way, about 7,500 light years distant toward the constellation Cassiopeia. This entry was posted in 2013, Astronomy Picture of the Day and tagged Cassiopeia, Heart Nebula, IC 1805, Melotte 15 on December 27, 2013 by mari. This entry was posted in 2013, Astronomy Picture of the Day and tagged M33, spiral galaxy, Triangulum Galaxy on December 26, 2013 by mari. Explanation: What does the Martian moon Phobos look like? To better visualize this unusual object, images from ESA’s Mars Express orbiter have been combined into a virtual rotation movie. The rotation is actually a digital illusion – tidally-locked Phobos always keeps the same face toward its home planet, as does Earth’s moon. The above video highlights Phobos’ chunky shape and an unusually dark surface covered with craters and grooves. What lies beneath the surface is a topic of research since the moon is not dense enough to be filled with solid rock. Phobos is losing about of centimeter of altitude a year and is expected to break up and crash onto Mars within the next 50 million years. To better understand this unusual world, Mars Express is on course to make the closest flyby ever on Sunday. This entry was posted in 2013, Astronomy Picture of the Day and tagged Mars, Moons of Mars, Phobos on December 25, 2013 by mari. Blown by fast winds from a hot, massive star, this cosmic bubble is huge. Cataloged as Sharpless 2-308 it lies some 5,200 light-years away toward the constellation of the Big Dog (Canis Major) and covers slightly more of the sky than a Full Moon. 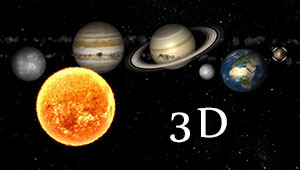 That corresponds to a diameter of 60 light-years at its estimated distance. The massive star that created the bubble, a Wolf-Rayet star, is the bright one near the center of the nebula. Wolf-Rayet stars have over 20 times the mass of the Sun and are thought to be in a brief, pre-supernova phase of massive star evolution. Fast winds from this Wolf-Rayet star create the bubble-shaped nebula as they sweep up slower moving material from an earlier phase of evolution. The windblown nebula has an age of about 70,000 years. Relatively faint emission captured in the expansive image is dominated by the glow of ionized oxygen atoms mapped to violet hues. This entry was posted in 2013, Astronomy Picture of the Day and tagged Canis Major, Sharpless 308, Wolf-Rayet on December 24, 2013 by mari. From a radiant point in the constellation of the Twins, the annual Geminid meteor shower rained down on planet Earth over the past few weeks. Recorded near the shower’s peak over the night of December 13 and 14, the above skyscape captures Gemini’s shooting stars in a four-hour composite from the dark skies of the Las Campanas Observatory in Chile. In the foreground the 2.5-meter du Pont Telescope is visible as well as the 1-meter SWOPE telescope. The skies beyond the meteors are highlighted by Jupiter, seen as the bright spot near the image center, the central band of our Milky Way Galaxy, seen vertically on the image left, and the pinkish Orion Nebula on the far left. Dust swept up from the orbit of active asteroid 3200 Phaethon, Gemini’s meteors enter the atmosphere traveling at about 22 kilometers per second. This entry was posted in 2013, Astronomy Picture of the Day and tagged Geminid Meteor Shower, Geminids on December 23, 2013 by mari. If you went outside at exactly the same time every day and took a picture that included the Sun, how would the Sun’s position change? With great planning and effort, such a series of images can be taken. The figure-8 path the Sun follows over the course of a year is called an analemma. Yesterday, the Winter Solstice day in Earth’s northern hemisphere, the Sun appeared at the bottom of the analemma. Analemmas created from different latitudes would appear at least slightly different, as well as analemmas created at a different time each day. With even greater planning and effort, the series can include a total eclipse of the Sun as one of the images. Pictured is such a total solar eclipse analemma or Tutulemma – a term coined by the photographers based on the Turkish word for eclipse. The above composite image sequence was recorded from Turkey starting in 2005. The base image for the sequence is from the total phase of a solar eclipse as viewed from Side, Turkey on 2006 March 29. Venus was also visible during totality, toward the lower right. This entry was posted in 2013, Astronomy Picture of the Day and tagged Analemma, Tutulemma on December 22, 2013 by mari. 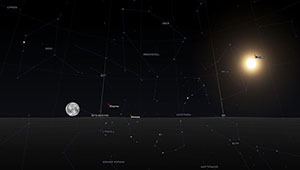 Today, the solstice is at 17:11 Universal Time, the Sun reaching the southernmost declination in its yearly journey through planet Earth’s sky. 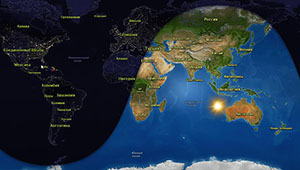 The December solstice marks the astronomical beginning of winter in the northern hemisphere and summer in the south. To celebrate, explore this creative visualization of the Sun from visible to extreme ultraviolet wavelengths, using image data from the orbiting Solar Dynamics Observatory(SDO). Against a base image made at a visible wavelengths, the wedge-shaped segments show the solar disk at increasingly shorter ultraviolet and extreme ultraviolet wavelengths. Shown in false-color and rotating in a clockwise direction, the filters decrease in wavelength from 170 nanometers (in pink) through 9.4 nanometers (green). At shorter wavelengths, the altitude and temperature of the regions revealed in the solar atmosphere tend to increase. Bright at visible wavelengths, the solar photosphere looks darker in the ultraviolet, but sunspots glow and bright plasma traces looping magnetic fields. Watch the filters sweep around the solar disk in this animation of SDO’s multiwavelength view of the Sun. This entry was posted in 2013, Astronomy Picture of the Day and tagged solstice on December 21, 2013 by mari.